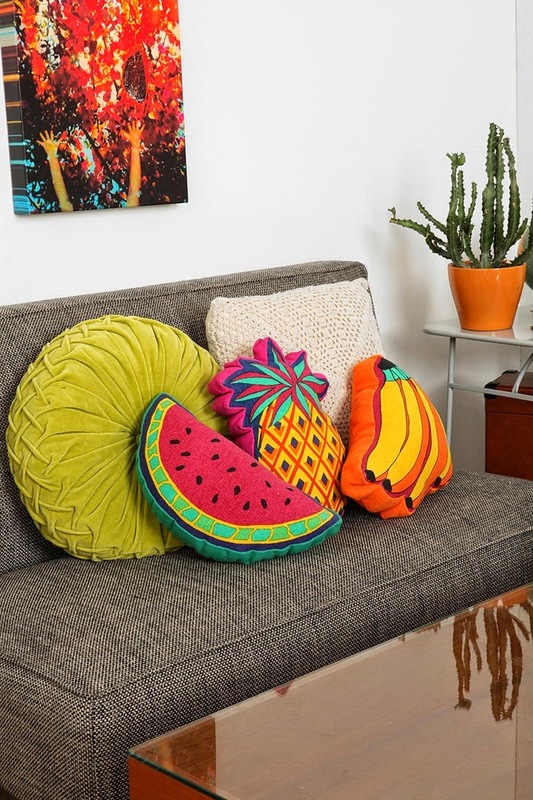 Styled to Profit: Feeling Fruity!! As you can imagine I spend way too much time surfing the web, checking out other blogs and websites and following what is making a huge splash overseas. Summer has just passed over in Europe and the USA so as we are about to hit Summer here in Australia, like tomorrow, so I thought I would share with you all my thoughts on what is going to hit big during the coming months. 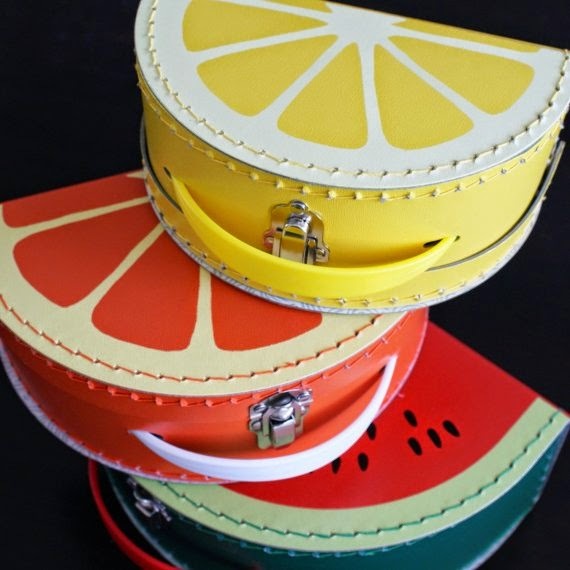 This might seem a bit silly but I love the idea of it, yep its.......FRUIT!! 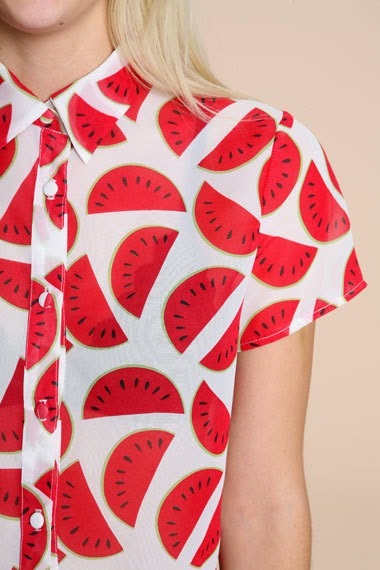 Now I'm not just talking about eating summer fruits because we all love doing that but fruit everywhere. 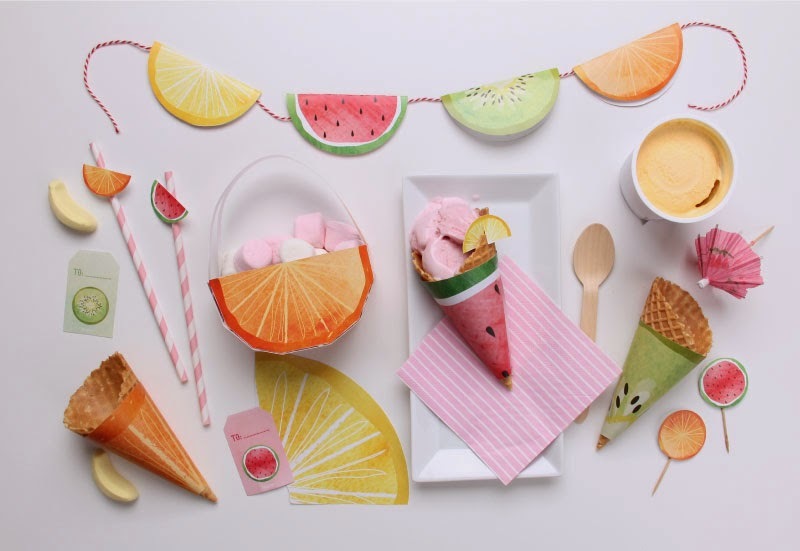 I'm talking decorations for Summer parties, fruit homewares, fruit prints coming your way in your favourite fashion stores and even fruit accessories. 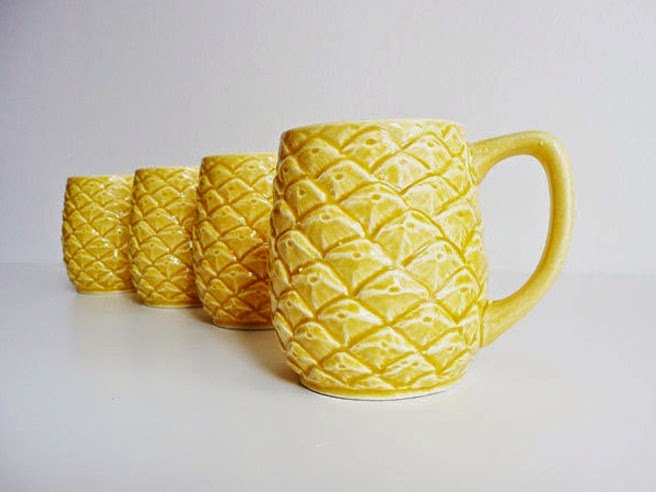 It has already been making a small splash when it comes to decor with all of the ceramic fruit we see on the market such as pears, apples and pineapples etc but they are about to get bigger! 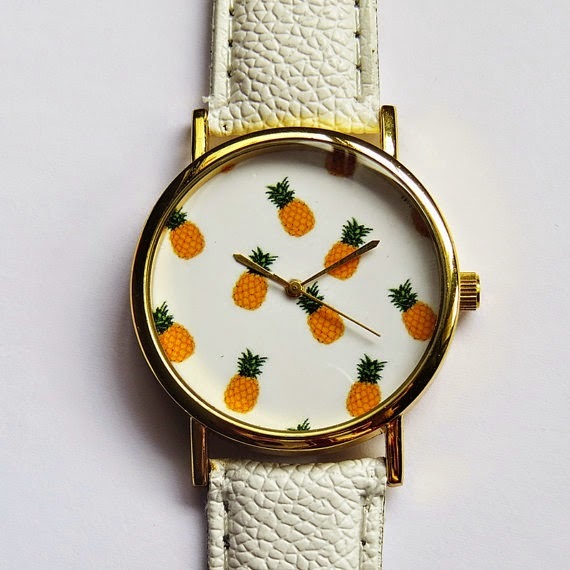 Who doesn't want a pineapple watch! 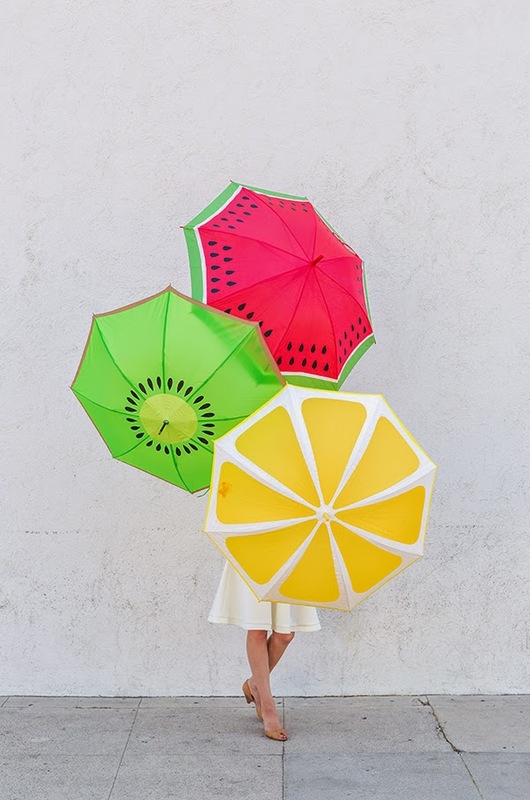 The Fruit Slice Umbrellas are just about the best thing I have ever seen! The link under the picture is not actually to a store but to a very cool DIY post showing you how to make them yourself. I think I may give this a try! 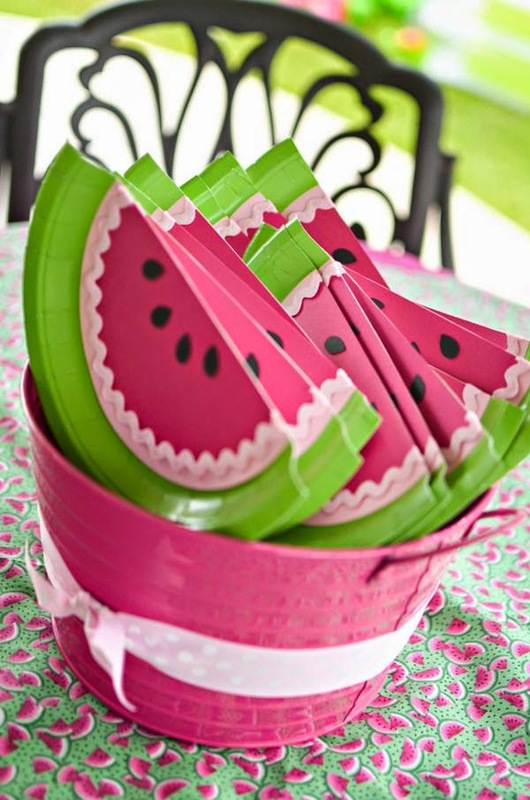 This one is my favourite of all the fruit decorations that I have seen on the internet, the link is to the website for the fruit printables so you can use them at one of your events this summer, I am printing them off as we speak so will be using them to pretty up the house now....I'm not waiting for an event to break these babies out! 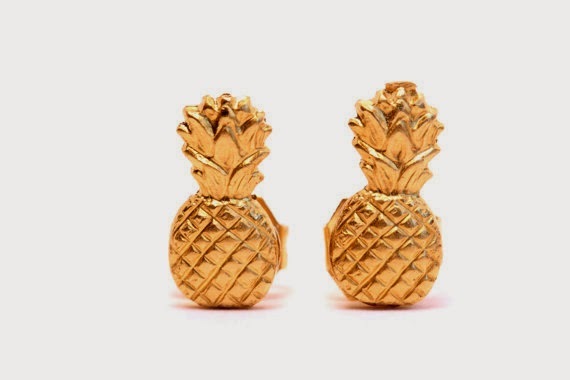 I'm loving this Summer trend. 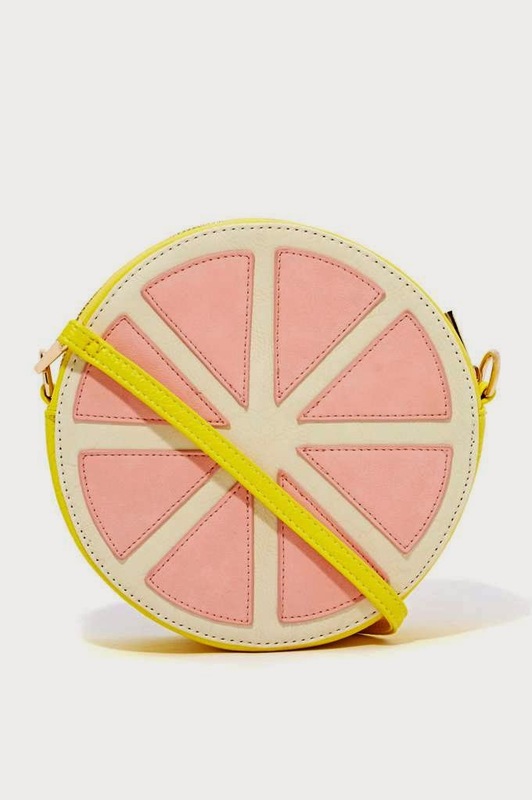 It is so fresh and flirty and I love that everyone is jumping on the bandwagon. I can't wait to decorate my home with all of these fabulous things that I know will make me smile each and every morning. I'm not normally a hot weather person, I love wearing boots, jackets and a scarf but I'm super excited to get outside with my daughter, go for a swim, spend all our days at the park and just be outside all day every day. 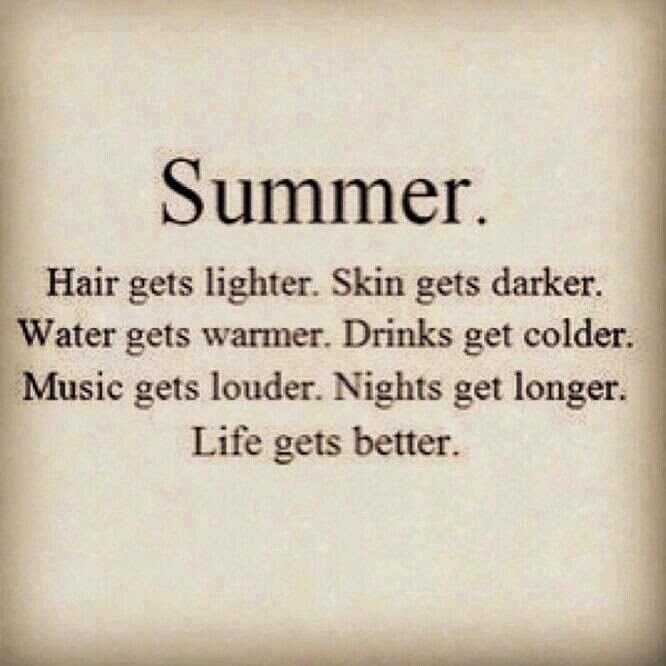 People are always happier in Summer so bring it on!